Instant access to well trained and knowledgeable technical support is paramount. As much as we’d like to tout the benefits and reliability of our equipment offering, all dental equipment needs professional installation and on occasion, maintenance or breakdown repair. Henry Schein has strategies and resources in place to install and service what we sell; for the life of the equipment. Being just Henry Schein is not enough however; we augment our in-house service department with a New Zealand-wide network of approved and trusted Service Agents. This mix provides avenues for the clients of Henry Schein to upgrade to the latest equipment, have their existing assets maintained and receive technical support through their preferred support network. Keeping our skills current is also important, you'll want to know the person looking after your gear is competent and capable. Henry Schein commits to ongoing professional training, sponsored by our manufacturer partners for constant improvement of service delivery. These professional development courses, mentoring programs and support systems contribute to having the best-connected dental service team at your door, right when you need them. Through experienced staff, good documentation and tool box meetings we’re able to provide support to the supporting technical trades in ensuring the installation proceeds at a pace on good advice. We’d never consider leaving the family car un-serviced. Most equipment will benefit with preventive maintenance calls. Henry Schein and our Service Agents can carry out factory suggested maintenance procedures and parts replacement to ensure you receive the best from your investment in the long term. Please call our Customer Service team on 0800 808 855 to log your service requirement and request a service job number. Download the handpiece repair form here, fill in the details and courier along with your handpiece to our Auckland office. 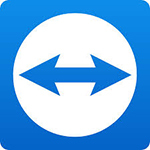 Please on click button below to download TeamViewer Quicksupport. Please choose Run or Open once file is downloaded.